Even though it takes years for skin to become sun damaged or unevenly pigmented, we’ve created a body lotion specifically designed to smooth it out in just a few weeks of consistent use. 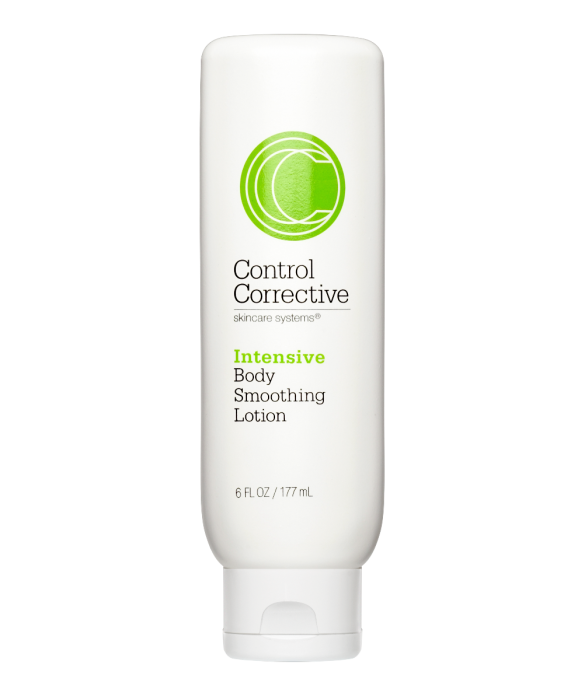 Powered by 20% glycolic acid, the Intensive Body Smoothing Lotion can even out the roughest of skin, including bumpy keratosis pilaris on the arms, age spots on the chest, or dry skin on the knees, elbows and feet. Active Ingredient: Glycolic Acid 20%. Other Ingredients: Water, Aloe Barbadensis Leaf Juice, Cetyl Alcohol, Sodium Hydroxide, Glyceryl Stearate, PEG-100 Stearate, Caprylic/Capric Triglyceride, Glycerin, Propylene Glycol, Stearyl Alcohol, Phenoxyethanol, Tocopheryl Acetate (Vitamin E), Dimethicone, Xanthan Gum, Disodium EDTA, BHT, Methylisothiazolinone.